Besides many nice posed Vietnam U.S. soldiers to be used with vehicles or in static scenes, BRAVO-6 has also some figures to display in action dioramas or vignettes. Vladimir Demchenko lately sculpted two U.S. Infantry figures in dynamic poses. The kit B6-35050 U.S Army Inf. (1) Let’s Go Get ‘em! – Rumble in Jungle includes to army soldiers with surprised/ shocked/ in fear expressions as they are ambushed or located an enemy position. The figures come well packed in standard BRAVO-6 light brown cardboard box in 50x80x25 mm dimensions. The front part of the box shows a photo of the assembled and painted figures which can serve as a basic painting guide. Body parts and other small parts like arms, personal gear and rifles are seperately inserted in small plastic zip-lock bags to avoid unexpected damages during storage and transfer. Both of the figures are sculpted by Vladimir Demchenko and come in medium grey resin parts. Parts are represented with the casting blocks. The junctions between figure parts and casting blocks were well placed and the parts can be easily removed from the blocks with no damage. Note that you should be careful on some fragile parts ,especially on the muzzles of rifles and backpack frames not to damage them. The resin quality is good and details are crisp. No air bubbles or casting mistakes on the figure, just a little flash resin due to casting which can be easily cleaned. The figures will be ready to paint with a little cleanwork. Posed standing and slightly leaning backwards as he met something unexpected, the figure comes in 3 body pieces. The main part is Body with head and legs. Facial details,hair and expression are very well defined. He wears tropical jungle jacket with two chest and two lower bellows pockets - all with flap covers, jungle trousers with two rear and two bellows cargo pockets on both sides and canvas-leather combined Vibram jungle boots. Trotters are inserted into the boots to protect themselves from reptile dangers. He carries LCE ( Load Carrying Equipment) which consists of Pistol belt and Suspenders with M-16 ammo pouches attached on both sides. 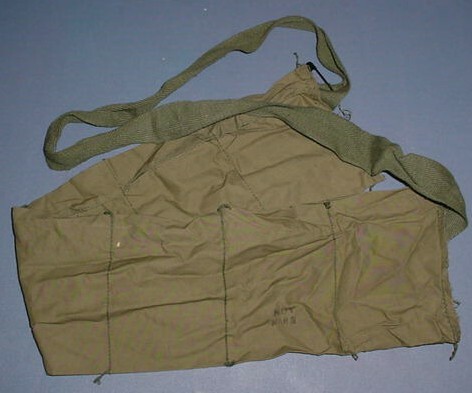 He has a Canvas M16 bandolier crossed on the chest with a strap tied on right shoulder and a Compass/small arms pouch attached to the left side harness. Cloth folds of the uniform, loaded pockets, big torn part on the right knee, details of the personal gear are well represented. Right arm : Posed to hold the M16 rifle, it shows nice cloth folds on the upfolded sleeves. Left arm : Wrist band and a wedding ring are nice details. Weapon : Right hand is cast on the M16A1 rifle. Details of the rifle are well defined and a canteen is given on the same sprue. The figure carries Lightweight rucksack with frame. In this figure, the frame is cast together with a M18A1 claymore bag and tropical rucksack with bedroll and M72 LAV-Light Antitank Weapon is given as a seperate part. Details of the frame, canvas straps and three loaded pouchs of rucksack are well defined. Posed standing and leaning forward grabbing his shotgun, the figure comes in 3 body pieces; body and 2 arms without hands. Facial details,hair and expression are well represented. He wears the tropical jungle uniform, jungle boots and load carrying equipment with M16 pouches as the first figure and he carries a field towel on his neck. Uniform details are well defined. Arms : Posed to carry his shotgun, the arms are represented bare as his uniform sleeves cut on shoulders. Muscle details are well defined and a wrist watch is added on the left arm. Weapon : He is armed with a Remington model31 shotgun. Hands are cast on the rifle. Two from the same sprue of personal gear are given for both figures. M1 helmet with Mitchell pattern canvas cover – 2 pieces.Both of the helmets carry different items on helmet straps like inscet repellent, greasy oil, cigarette box and match. A water-slide decal sheet with different types of insignia, ranks and nametags is given inside the kit. Great figure pair to use in Vietnam jungle dioramas. Good part is this one is labeled as (1) which means the series will be continued by BRAVO-6. Highs: Nice poses, nice sculpt and cast, crisp details. Rucksacks have very good variations. Verdict: Great figures to build jungle scenes. Let's wait for the rest of series.